Thanksgiving is a time when many families and friends come together to celebrate gratitude. Unfortunately, it is also the number one day of the year that house fires occur. 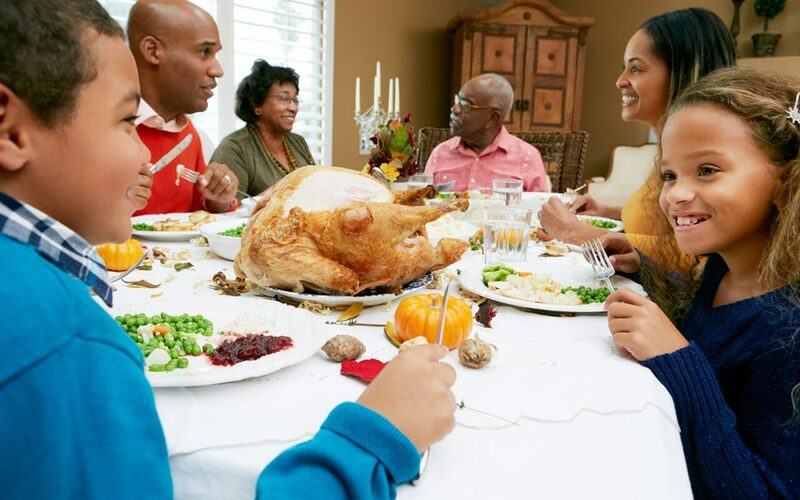 Use these four safe cooking tips for Thanksgiving to prevent accidents from happening. The most important tip that we can give is to make sure your emergency devices are working. A smoke detector will alert you to a cooking fire even before you see it. It may give you enough time to grab your fire extinguisher if the fire is still small, or to evacuate the house and call 911. Keep a fire extinguisher within the vicinity of your stove. If a fire breaks out, using an extinguisher immediately can help stop the flames before a fire gets out of control. Tip #2: Don’t leave your stove unattended for any reason. There may be times when you’re cooking that you need to step out of the kitchen. Maybe you’re hot and need to cool off. Maybe you need to use the restroom. No matter what the reason is, don’t leave the stove unattended. Make sure someone stays in the kitchen while you step away. A fire can erupt quickly so having eyes on the stove at all times can help keep you and your family safe. Tip #3: Don’t keep flammable items next to the stove. Ignoring safe cooking tips for Thanksgiving is all too common, and this third tip happens to be one of the most ignored. Items like oven mitts, aprons, towels, cookbooks, packaging, and pots/containers that have grease on them are flammable. Make sure your home is fire-safe by keeping these flammable materials away from your stove. When you use them, keep them well away from your burners so they don’t catch on fire. Tip #4: Keep children away from the stove, and if possible, out of the kitchen. Kids can be curious and clumsy. That makes for a bad combination when you have knives, hot pots and pans, and lit stoves. Many children suffer from burns because they reach up on the stove, grab a pot handle, and spill hot food on themselves. You can avoid this by keeping your pot handles turned inward, but the best way to prevent this is to keep kids out of the kitchen. The same goes for cooking outdoors–keep kids far away from grills and turkey fryers. Thanksgiving is a time for celebration, so use these safe cooking tips for Thanksgiving to make sure your fun family gathering doesn’t become a disaster. Eagle 1 Home Inspection Services wishes you a safe Thanksgiving with family and friends!